The Benefactors Offer represents an excellent way to further your collection while supporting Light Work’s mission. Contributors of $1,500 will receive Duane Michals’ image from the Master Print Edition, all three prints in our Fine Print Program (Keliy Anderson-Staley, Shane Lavalette, and Mark Steinmetz), and a signed copy of The Code by John Gossage. (A $2,015 VALUE!) By participating in this category you will save on the cost of the prints and book, and receive a one-year subscription to Contact Sheet. 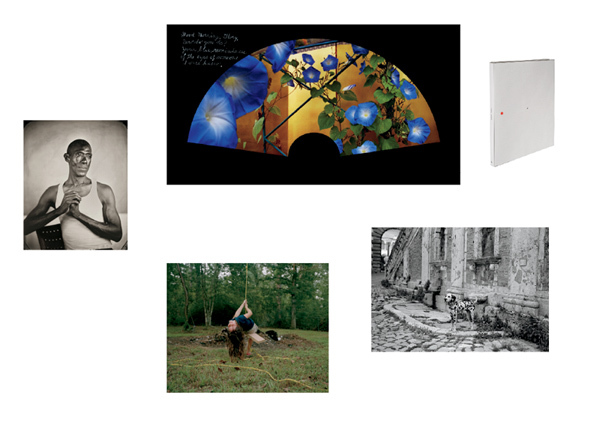 These prints are also available individually along with a variety of past Fine Print Program prints, including works by Carrie Mae Weems, Doug DuBois, William Wegman, Kelli Connell, Susan Worsham, Tony Gleaton, Scott Conarroe, Deana Lawson, Yolanda del Amo, Priya Kambli, Todd Gray, Elijah Gowin, and more! NEW! Get individual prints archivally framed in black or white for just $150 extra. Just select your framing preferences at checkout. To browse all of our past signed prints and books, click here.